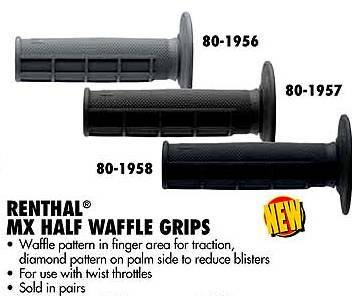 Magnum Distributing brand grips. 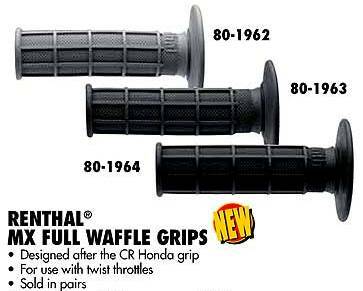 These look and feel exactly like the Renthal D/C grips. Sold as a pair. Half waffle/half diamond. Fits standard 7/8" bars. Available in black, red, orange, or blue. Give your hands a break! New lower profile for better overall hand control. Reduces vibration and cushions impact. Inner core compond perfects the bonding interface with bars. 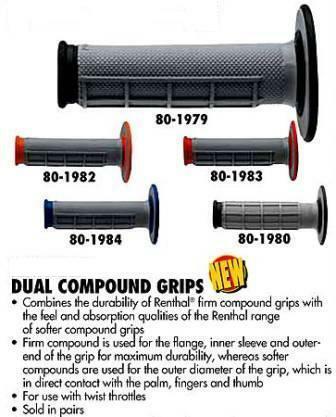 ANTI-Rip Tip® uses denser compond to increase life of grip. Designed to self-clean and shed mud away from outer surface. Tacky gel-like surface compond is perfect for off-roading and MX. Sold as a pair. Half waffle design. Fits all motocross bars with a twist throttle. Available in 3 compounds: soft, medium, firm. 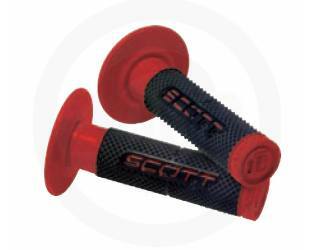 This grip from Scott has a repeated pyramid pattern which makes for a positive hand grip interface. 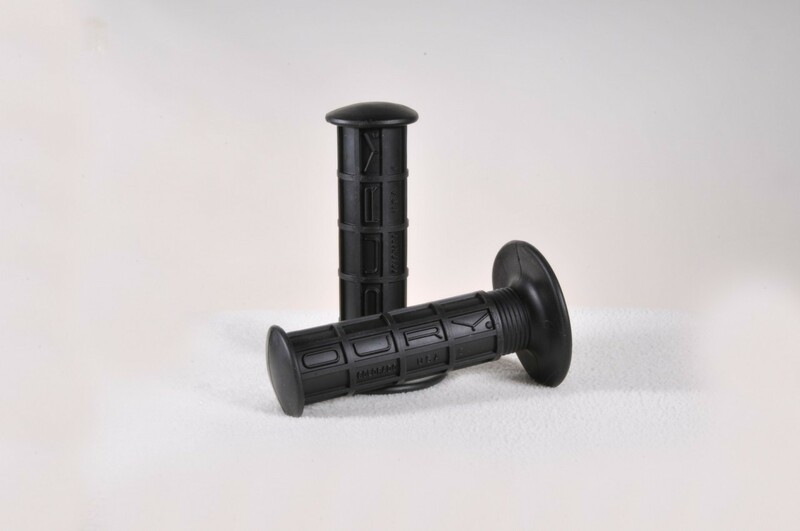 Made of a pliable thermo-plastic rubber it is also a very comfortable grip with good durability.